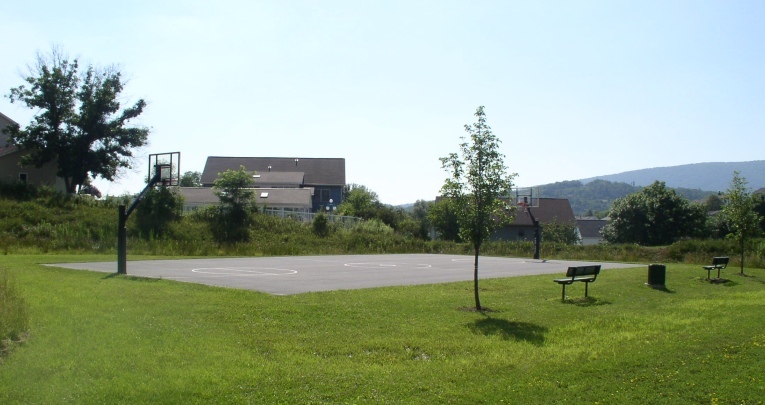 After two years of planning, thousands of dollars of donations and support, the basketball court at Kachelmacher Park is complete! 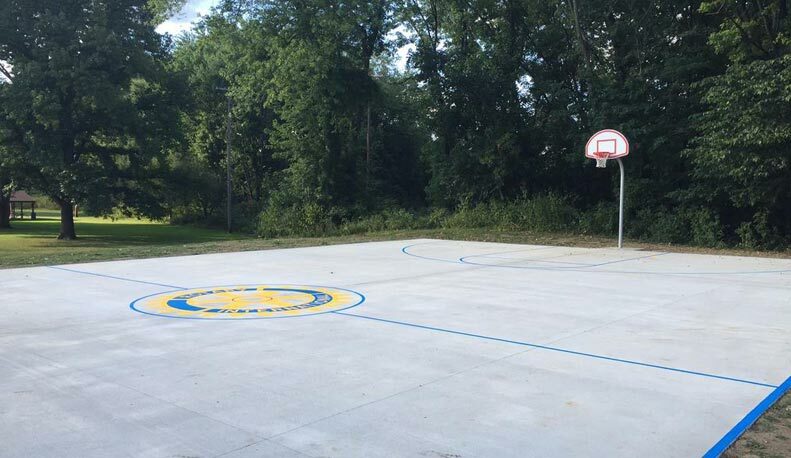 Thank you to Green Construction for the construction of the court and The Final Floor for painting the lines to dimension and adding our Rotary logo to the center circle. The court is now officially ready to host your next full court basketball game! As the Logan Rotary Club wraps up this project, we encourage you to support your local service organizations and the City of Logan by donating your time, funds, or other means to help the city and support our great citizens who live within. Thank you again for all the support! 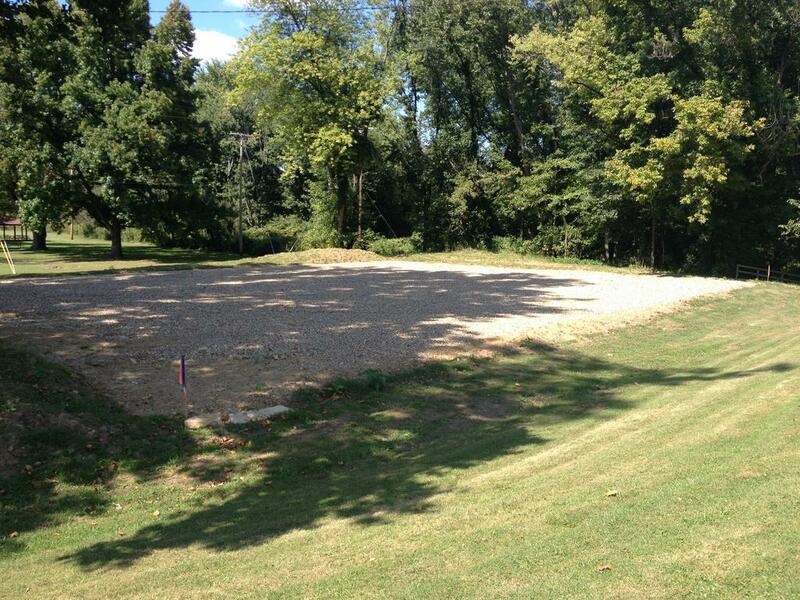 The area for the court has been graded and the base gravel delivered. We are looking to have the court finished by Spring 2015. We are in need of some experienced concrete finishers to help get the court finished. Please contact Andrew McGhee at 740-385-8575 or use the Contact Form if you or someone you know can help! We have broke ground! 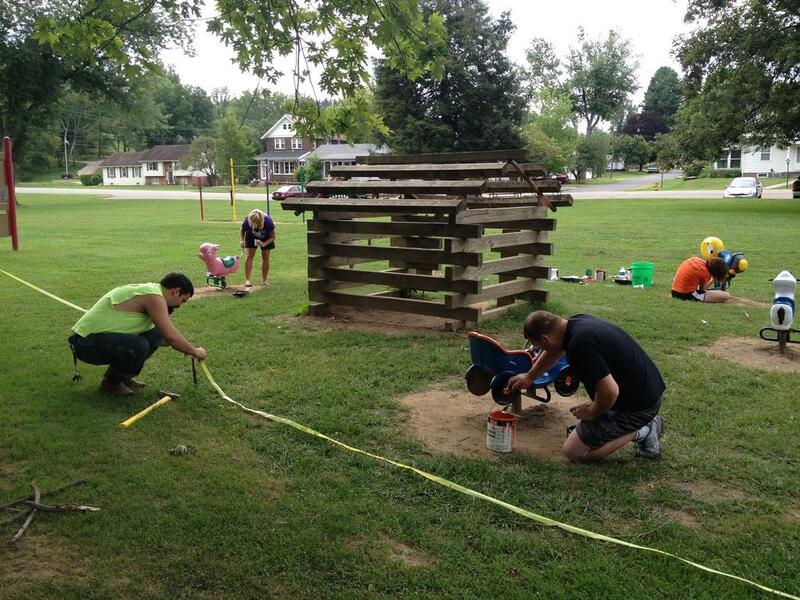 The Local 18 Ohio Operating Engineers are donating their time & equipment grading the area for the basketball court. The Local 18 Operating Engineers run an apprenticeship & training program for anyone interested in becoming an Operating Engineer. Operating Engineers build roads, bridges, and dams, and assist in construction of large buildings and other structures. To learn more about their program please visit www.local18training.com. A special thanks to Mike Cooper and the Operating Engineers who are helping today! 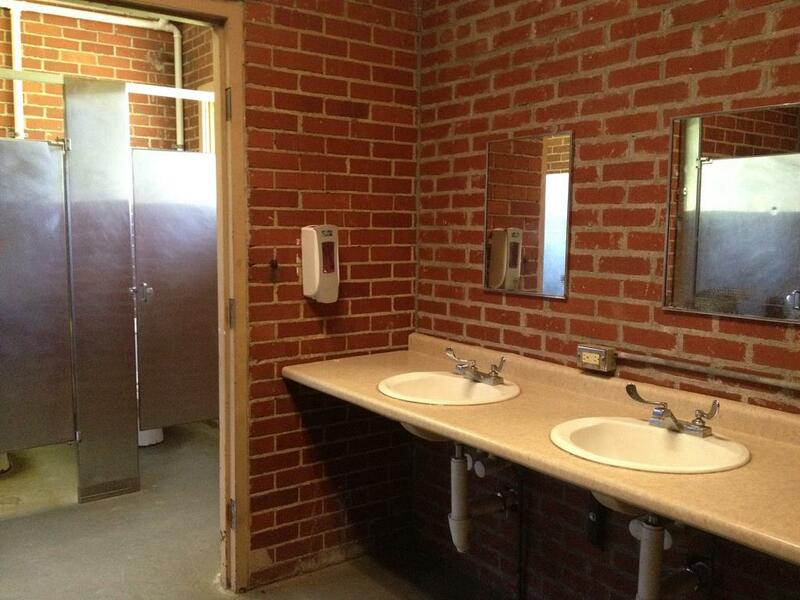 If you visited the park this week and used the lavatory, you may have noticed a pleasant smell, clean floors, and clean toilets! Thank you ServiceMASTER Clean for stopping by and removing years of germs! 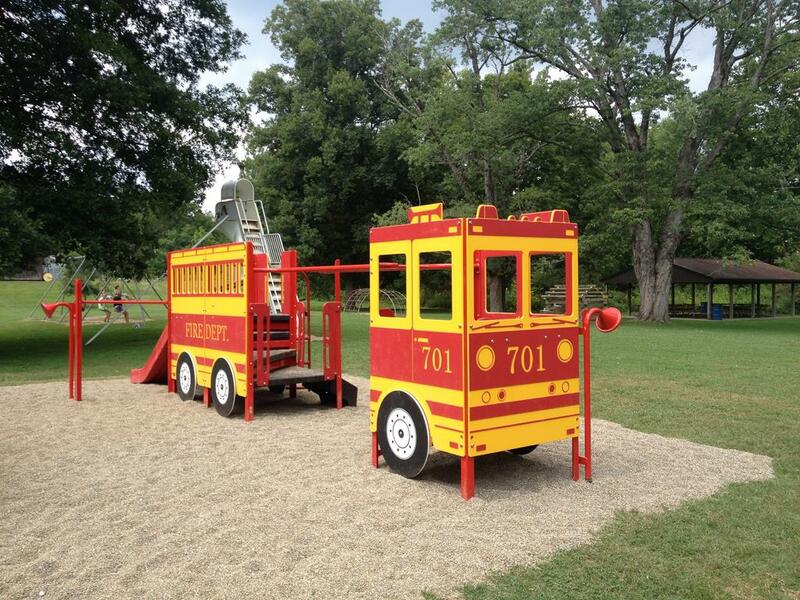 If you haven’t been to Kachelmacher Park lately stop by and you’ll notice the new fire engine has been installed! 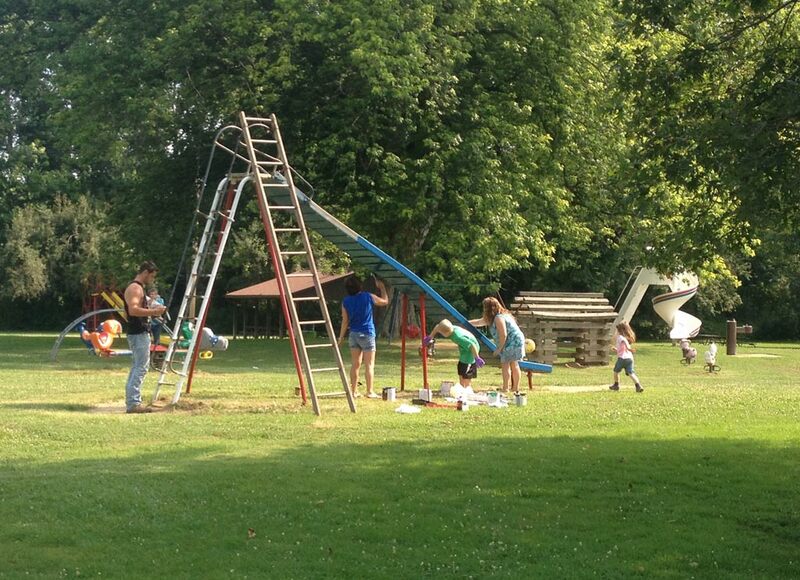 Thank you to the workers of the City of Logan who are working hard on the park this month! The overflow parking lot is getting an expansion to allow for more parking. 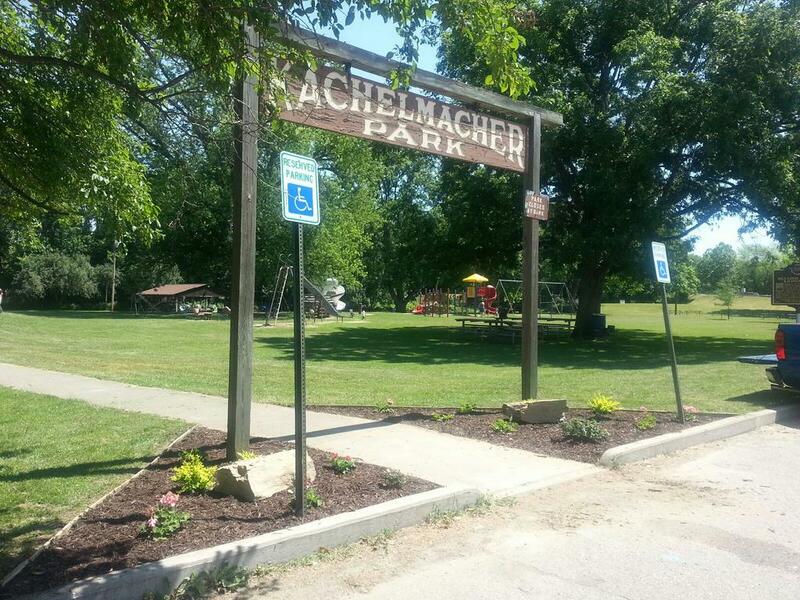 This parking lot, located across the street from Kachelmacher Park is to be used for a Park and Ride for carpools, parking for the canoe launch, and overflow parking when the parking is full directly in front of the park. 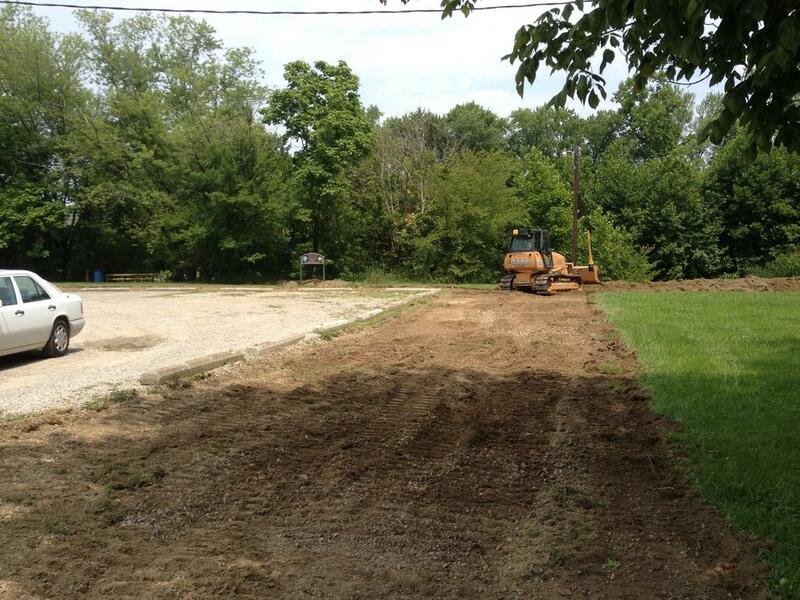 Another thanks to the Local 18 Operating Engineers of Ohio for moving some dirt for us! 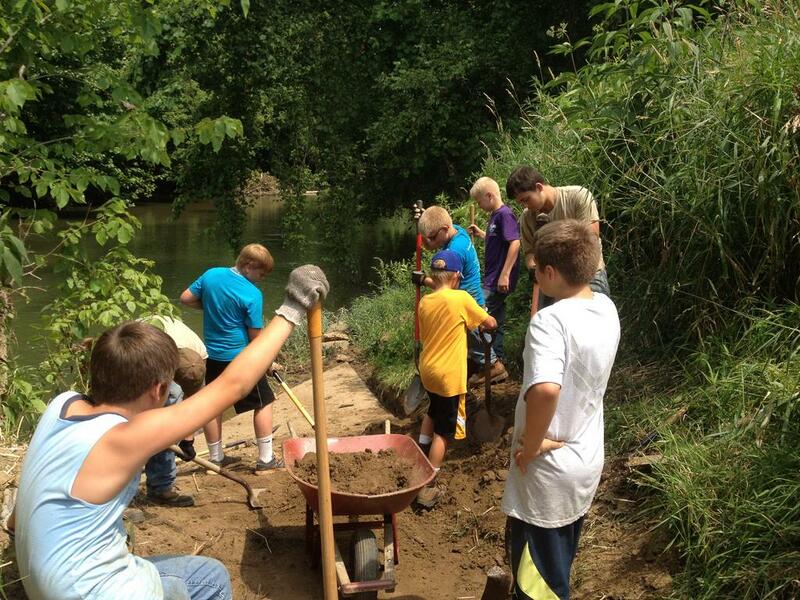 July is almost over and the Logan Rotary and volunteers have been extremely busy! 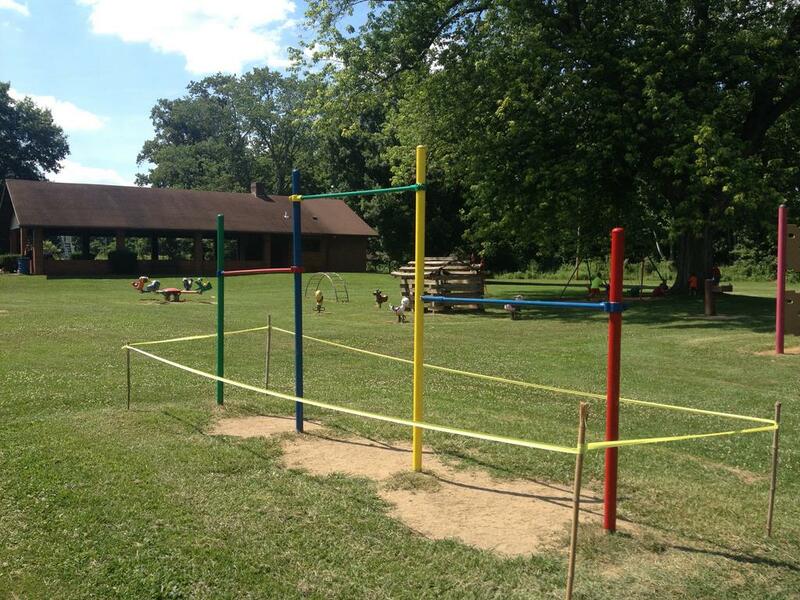 This month we have cleared the canoe launch, created a fishing area, covered graffiti, built a walking trail, put up a soccer goal, fixed & mounted the faucets in both bathrooms, squared & cleaned up the fireplace, painted swings, slides, monkey bars, and the children riding toys! Thank you to everyone who has donated time and/or money as none of this work would be done without it. If you or your organization are able to donate to this project we still have room for your name on the donation wall. 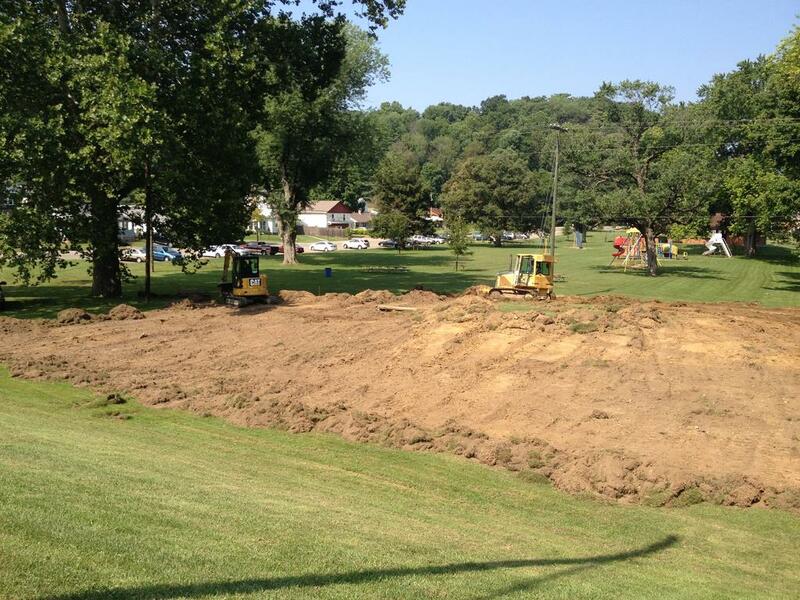 We are very close to meeting what we need for construction of the basketball court! Our original plan was to be completed by August 1st, but the scope of this project has been much larger than we envisioned. There have been a couple setbacks, but we are going to continue to move ahead and we hope to be completed by September 1st, 2014. 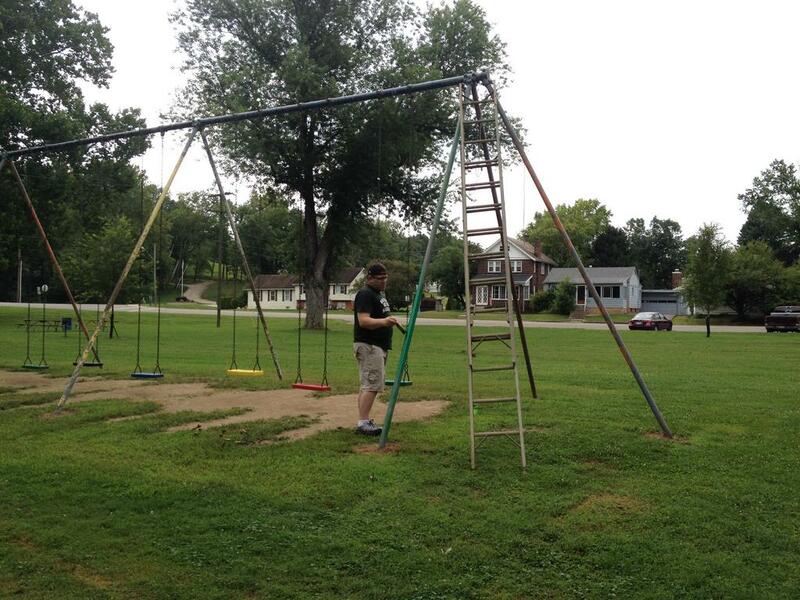 Halfway through July and we have made some major strides in the effort to restore the park! 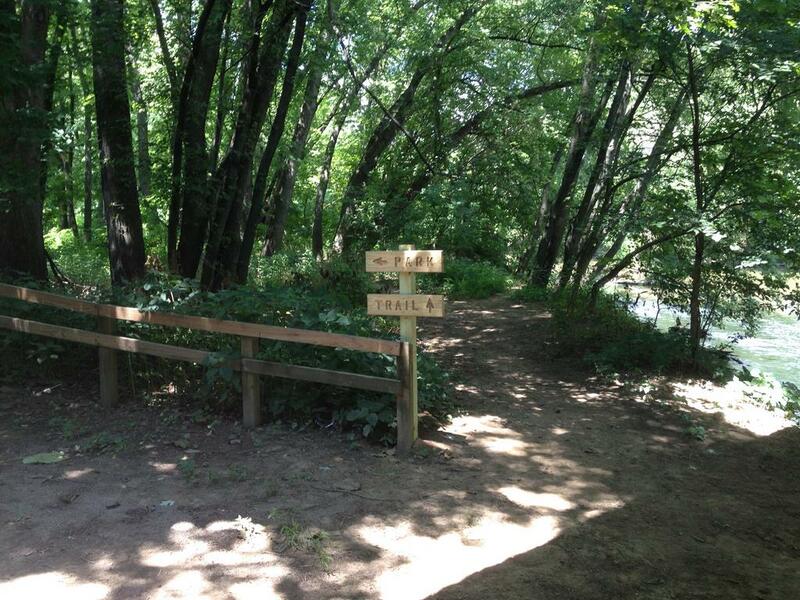 A special thanks to Boy Scout Troop 99 for helping out Saturday cutting out the fishing area and making the Canoe Launch usable again. One member even found turtle eggs on the canoe path and was taking them home to incubate them and then will release them back to the wild. Pretty cool stuff! 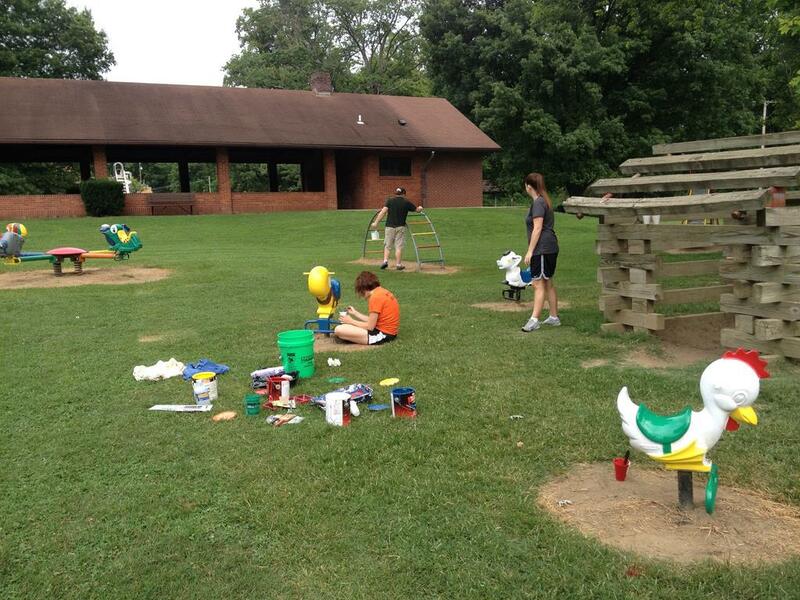 Another special thanks to 4-H who helped with painting equipment. They got the monkey bars, large slide, and some graffiti covered up under the bridge. No rain and low humidity should help the paint stay in place this time! 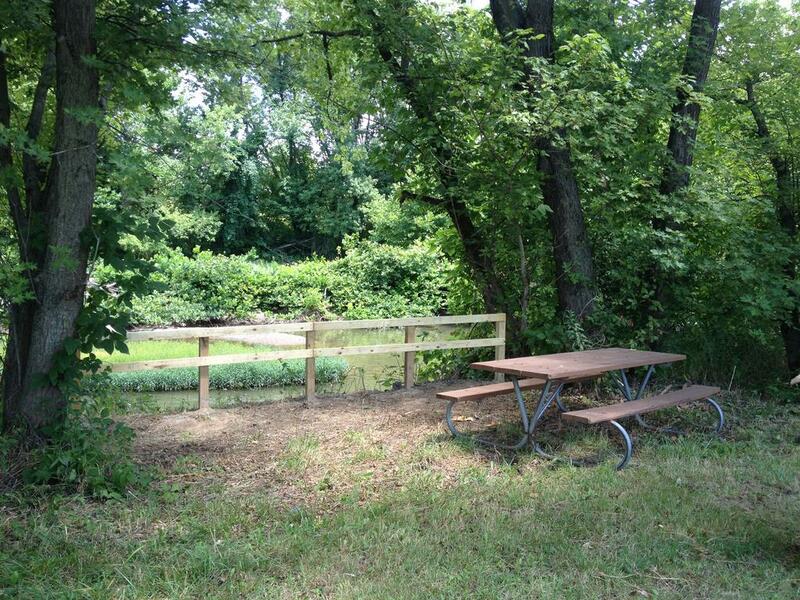 Come help with the revitalization effort! 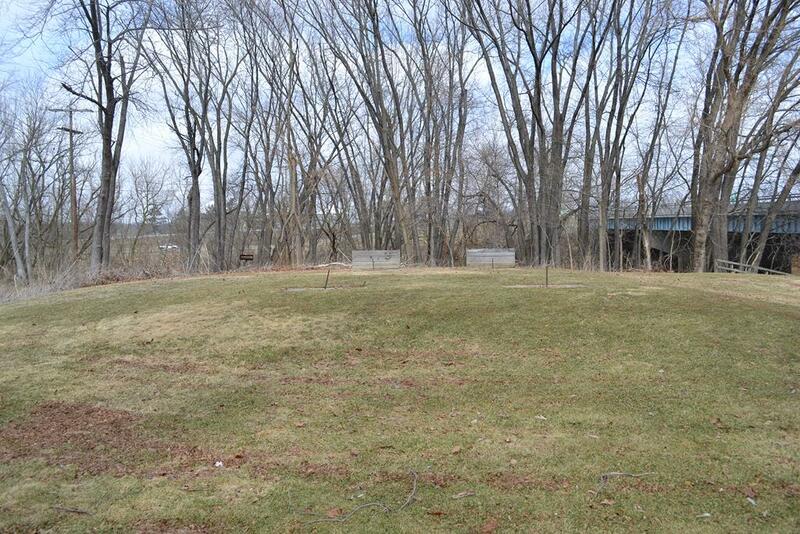 We will be doing sanding, painting, landscaping, brush removal, cleaning and more! Wear old clothes and expect to get dirty! There is lots to do and the more volunteers that come, the more we can accomplish! Thank you to all the Sponsors and Volunteers we have had thus far! If you or your business have not donated yet, please donate today so we may continue this effort! June has arrived and we have kick started the project by digging some flower beds and planting flowers donated by Flowers by Darlene! 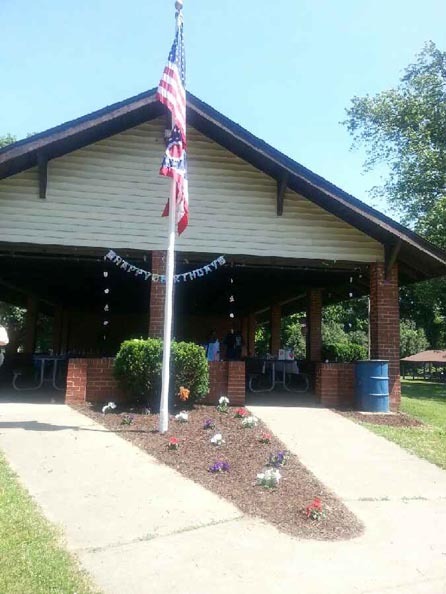 The city has also painted the flag pole and hung a new flag! And in honor of America, we have planted Red, White, and Blue flowers to match. These little guys need some love! 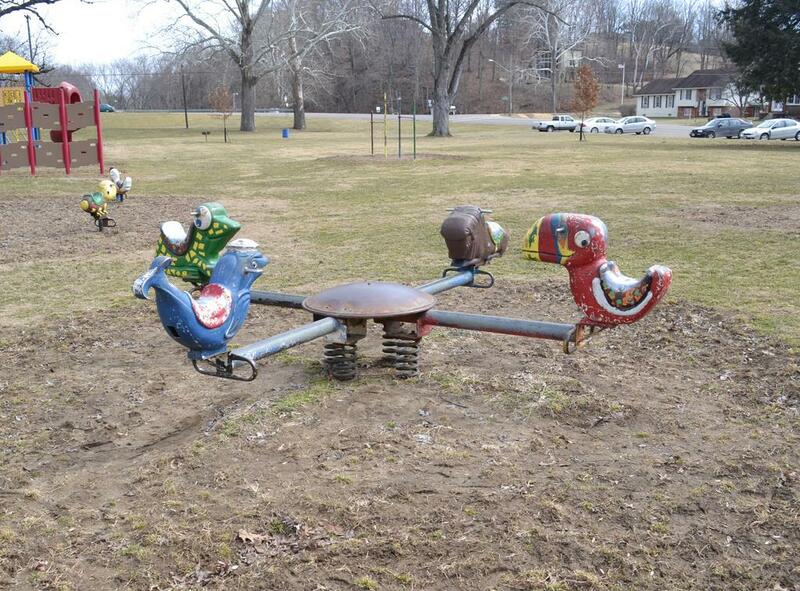 The metal ride on toys need sanded, primed, and painted. Come show your artistic side! 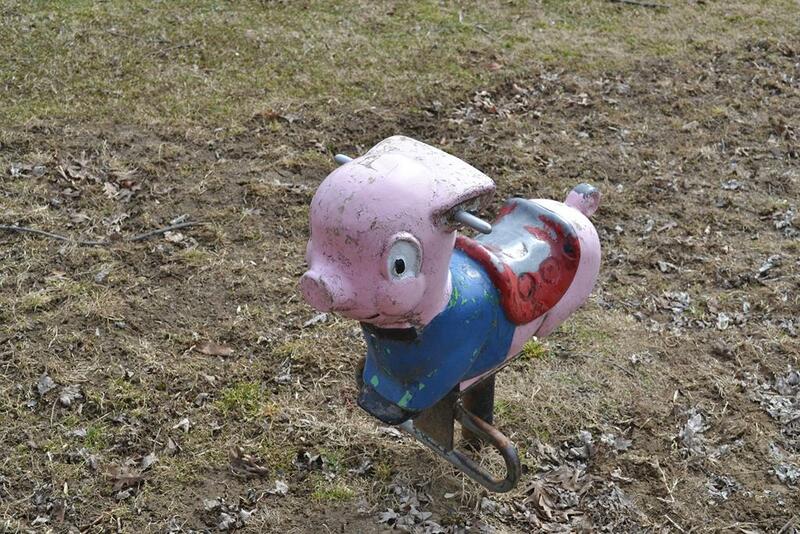 I bet little piggy would even let you put your initials on him if you fix him up nice! 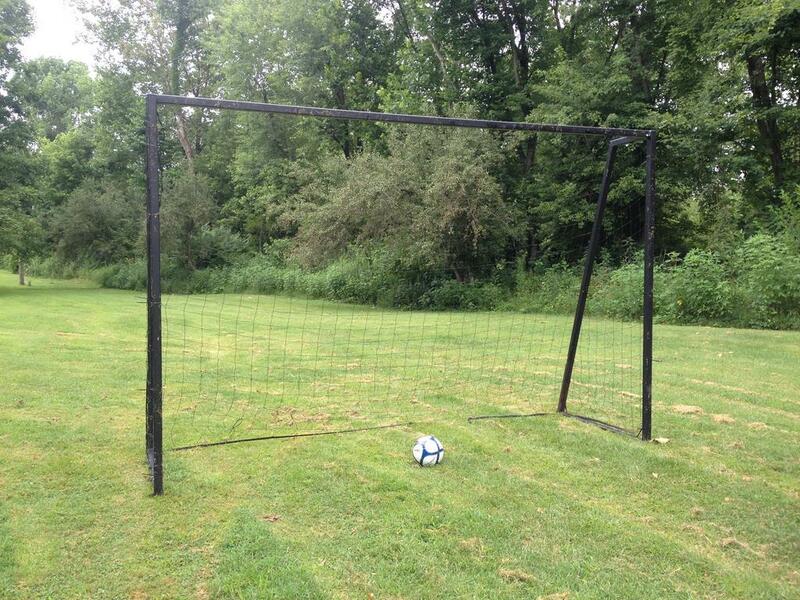 This project is not yet funded or have any volunteers, contact us if you can help!